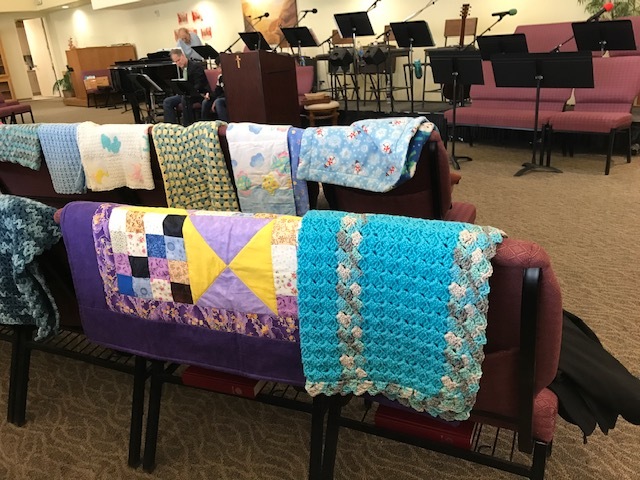 Servant Stitchers was established by the women of Christ the Servant in the late 1980’s. 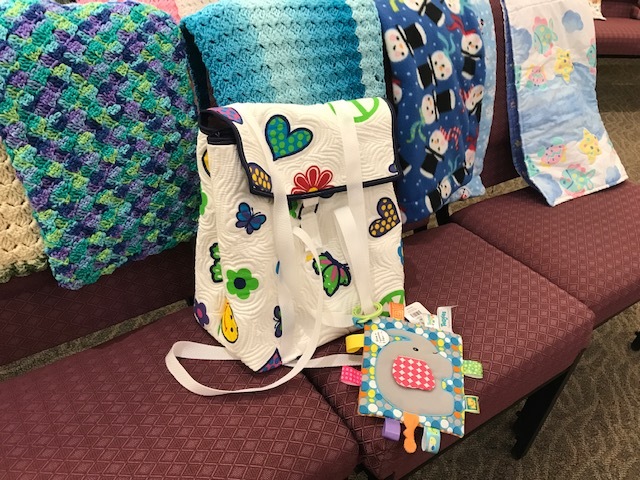 Members knit, crochet, quilt, or sew baby blankets which are for the Baby Baskinettes program at CSLC. Nancy Sovocol assembles the baskinettes from donated diapers, clothing, bottles, layette items, booties and bibs. 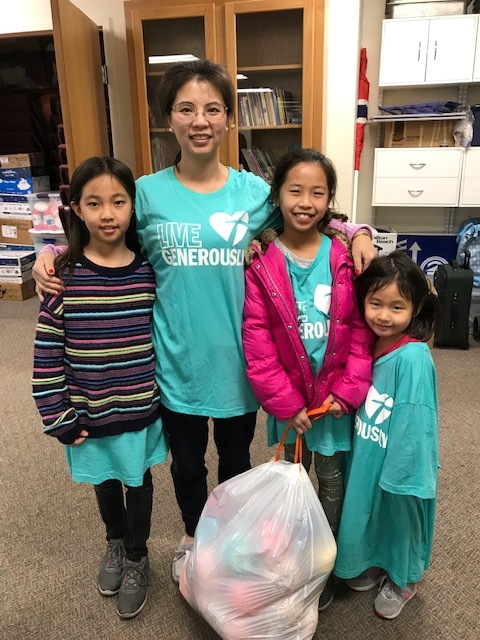 The baskinettes are then donated to Lutheran Social Services of Nevada, where they are distributed to mothers of newborn babies in the local area. SSSS members meet monthly in the Fellowship Hall (dining area) on the second Saturday from 9:00 – 10:30 am . 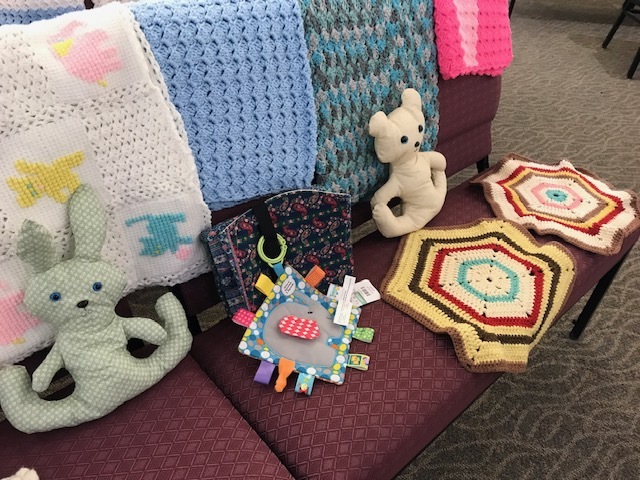 Yarn and fabric are available for the members to use for the baby blankets. 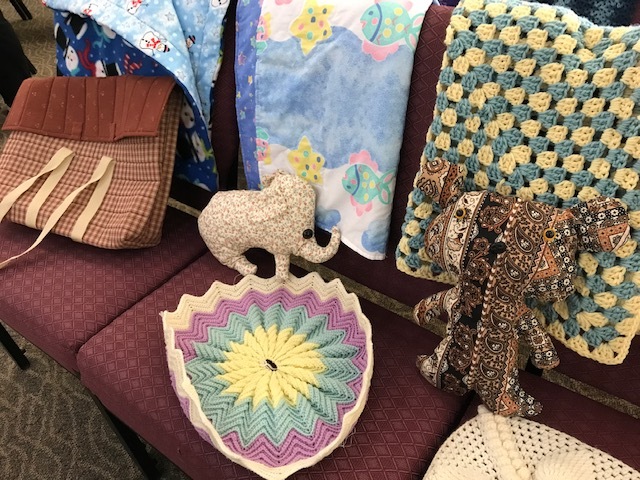 The next showing of handmade items will be will be FEBRUARY 9 & 10, 2019 in the sanctuary. 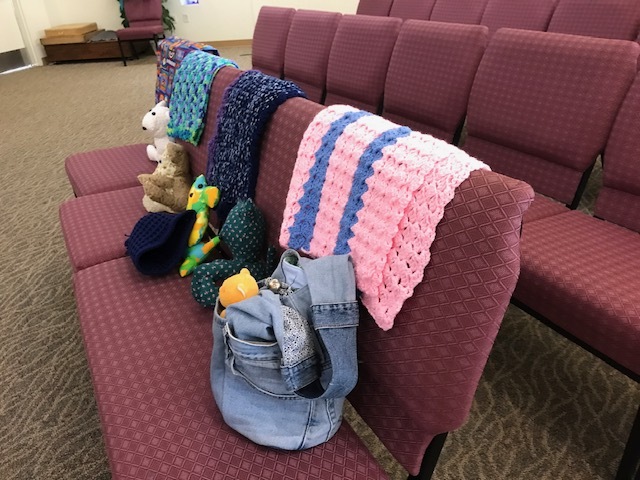 DONATIONS of materials and finished baby blanket and caps are greatly appreciated. For further information regarding Servant Stitchers, contact the Church Office at 702 263 0802.